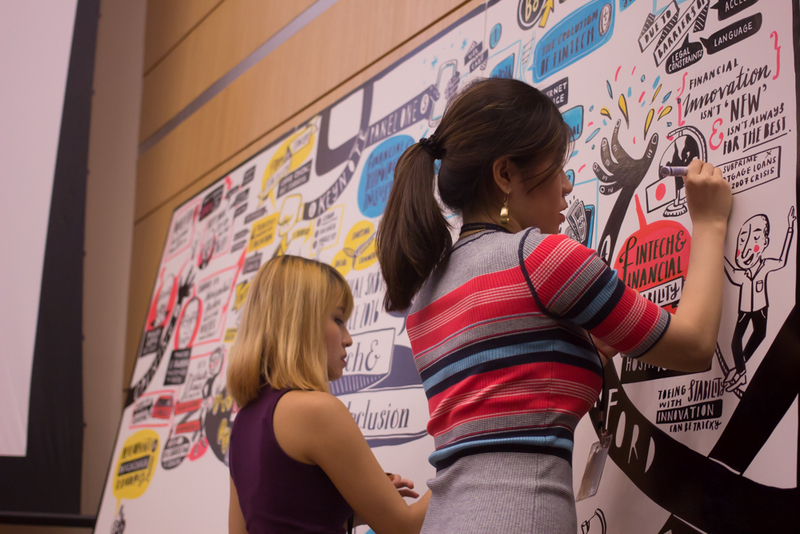 How do you liven up academic conferences, toeing the lines of public and private sectors? 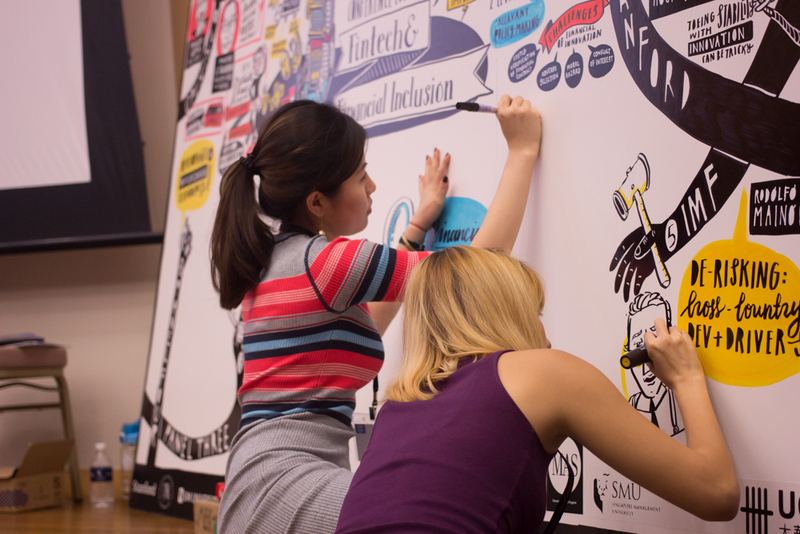 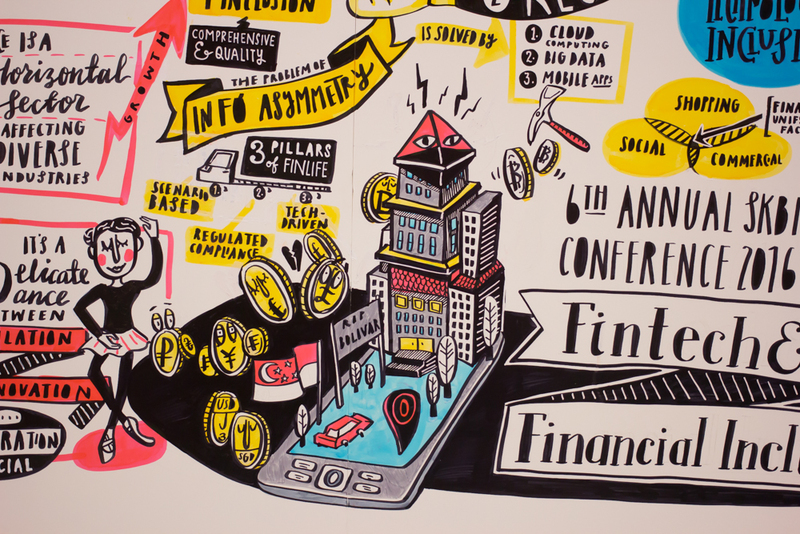 For this event, we illustrated our awesome sketch walls on-stage as part performance art - and detailed the boons and banes of financial technology, yet above all financial inclusion. 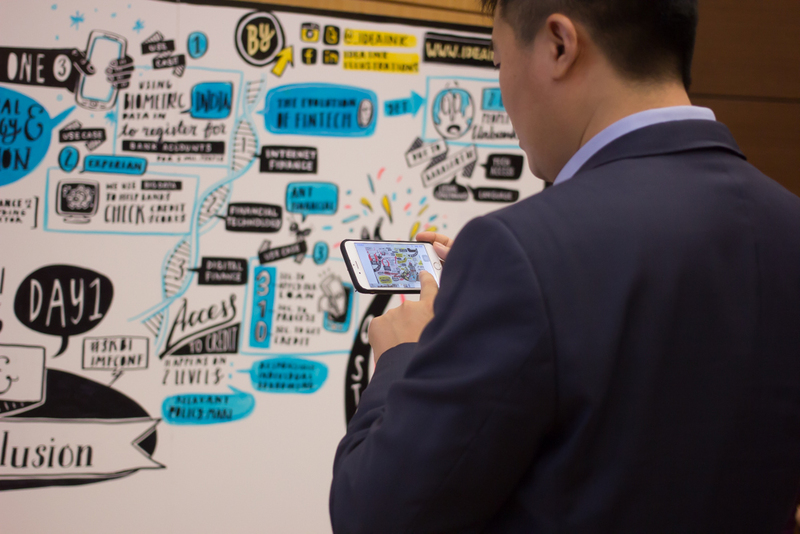 Our work with Singapore Management University - who partnered with IMF, the International Monetary Fund - highlighted the beauty and challenges of working with uncertain, volatile, yet explosively disruptive banking technologies. 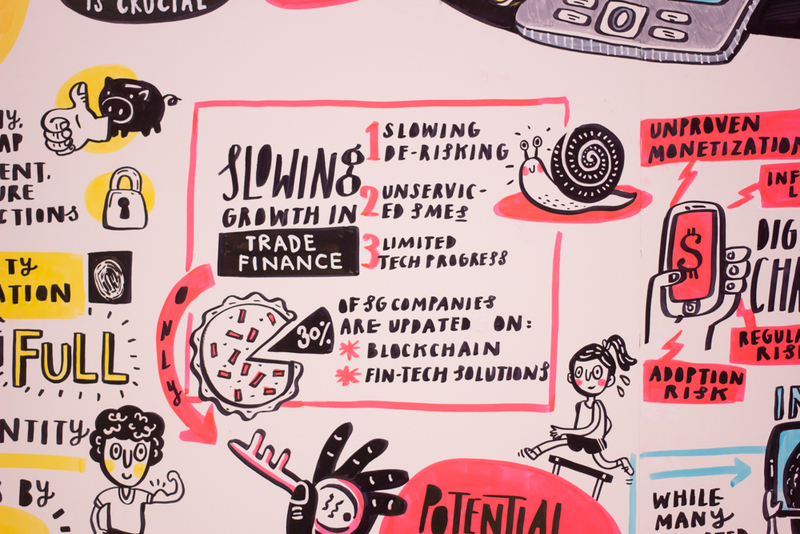 While our not-quite-invisible hands guide you through the sessions, our political cartoons summarised the uncertain economic climate of August 2016 as a central motif - which all formed a light-hearted stage centrepiece for a content-heavy topic.